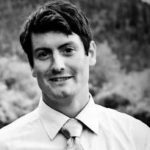 A long time Dawson City resident, Ben Shore took over ownership of Northern Network Security in 2017. Ben has over a decade of residential and commercial building maintenance experience and is certified as a 5th Class Power Engineer. Northern Network Security carries $2,000,000 of commercial liability, and is professionally bonded and licensed through the Professional Licensing and Regulatory Affairs branch of the Yukon Government.